I glance over to see the serene gaze, the praying silence, and I am smitten with my new Buddha. He still needs to be cleaned up quite a bit, but with this quiet divinity next to my lovely cabinet, I can’t help but smile. Looking at him, it’s hard to imagine that he will be packed off and shipped to wherever my new home will be in six months time. Right now, that can’t come soon enough. That is one good-looking Buddah. How large is He? Claire – What a great piece of art! I love it and can see how it would bring you joy. So cool that he is standing guard by your new cabinet, too. I want one!! 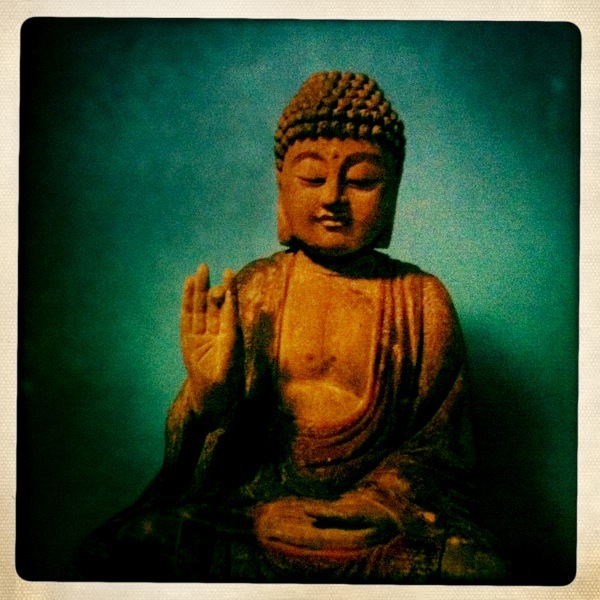 You know how I feel about buddha – yours is fabulous. Wish you could bring him and YOU to my holiday party tomorrow night. You’ll be missed!! Merry Christmas, Girlfriend.